Markers for this die state are not yet known. 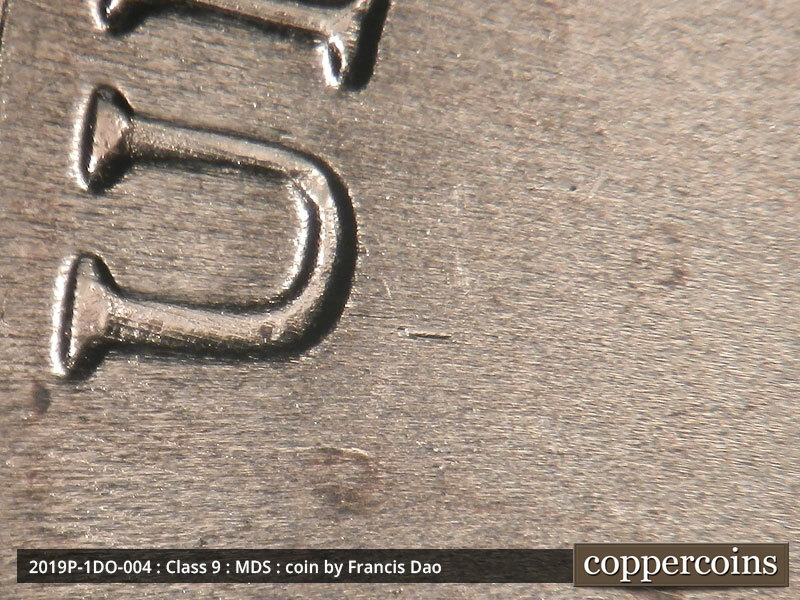 A series of interesting die cracks show all over the head. 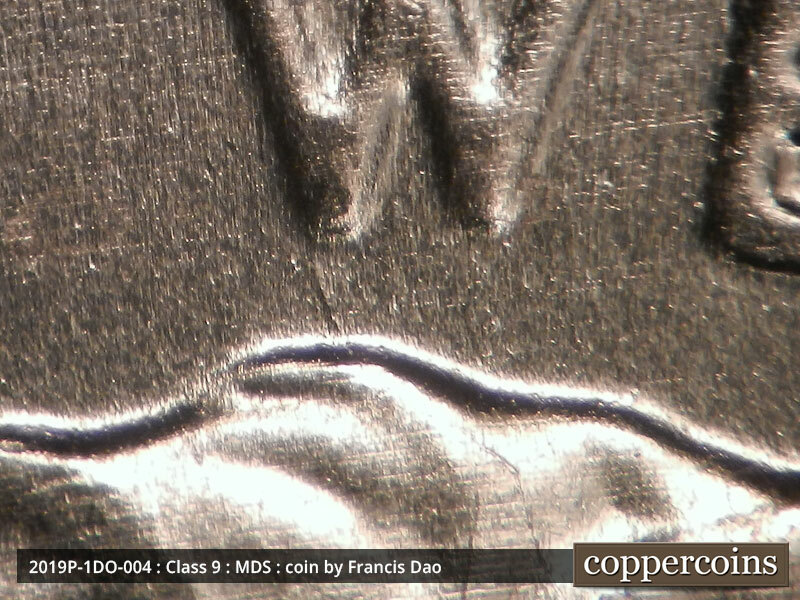 The top of the hair and W of WE are connected by a small die crack. 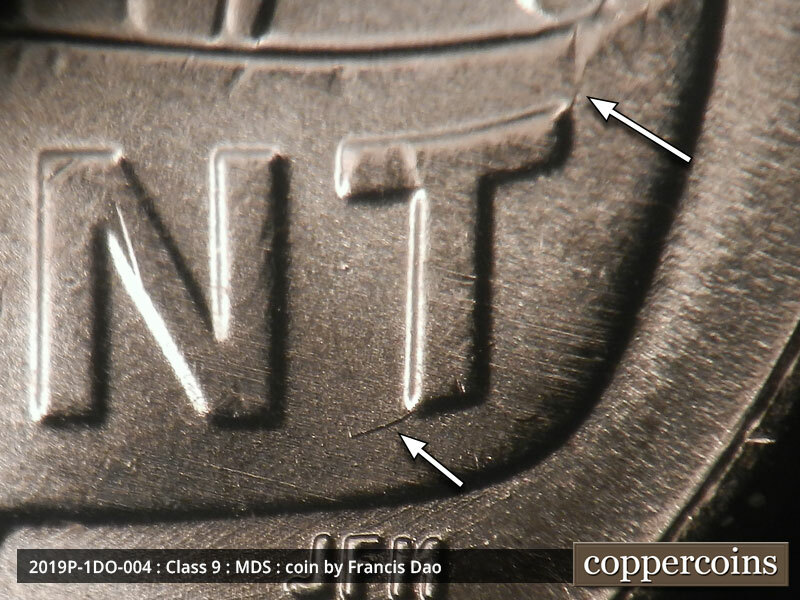 Die cracks show on the ribbon at both ends of ONE CENT. A heavy yet very small die flow line shows toward the center of the design from the U of UNITED. 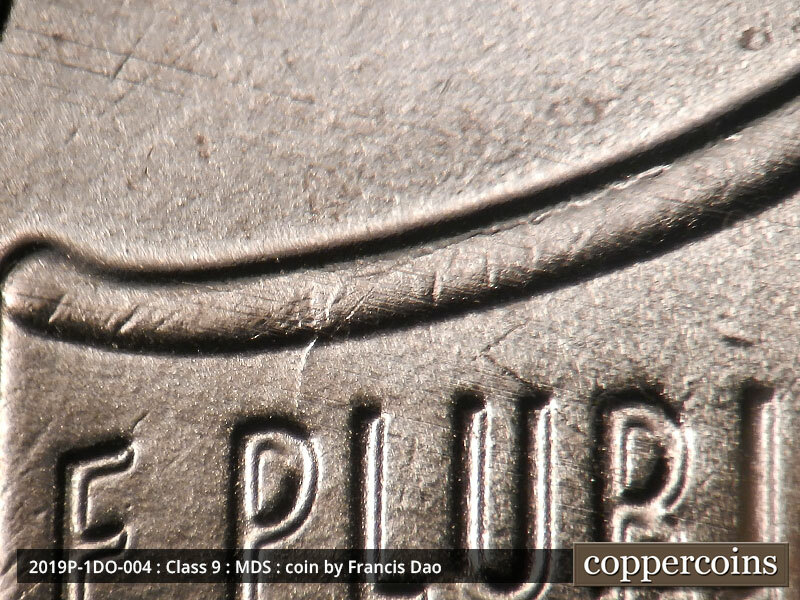 A die crack runs from the top of the P of PLURIBUS to the top of the ribbon. 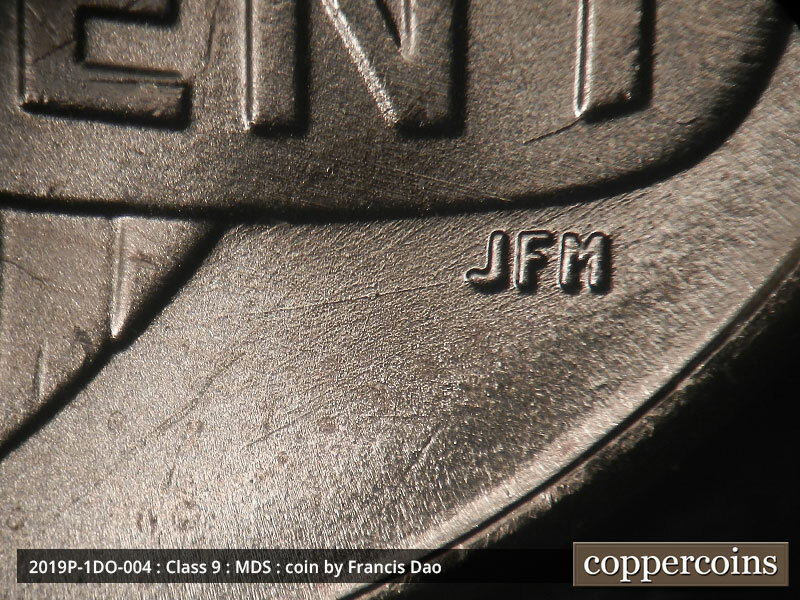 Die scratches show around the initials JFM. Reverse is LMDS. coin photographed is credited to Francis Dao. Shows a mild spread to the upper-left on the last half of LIBERTY. 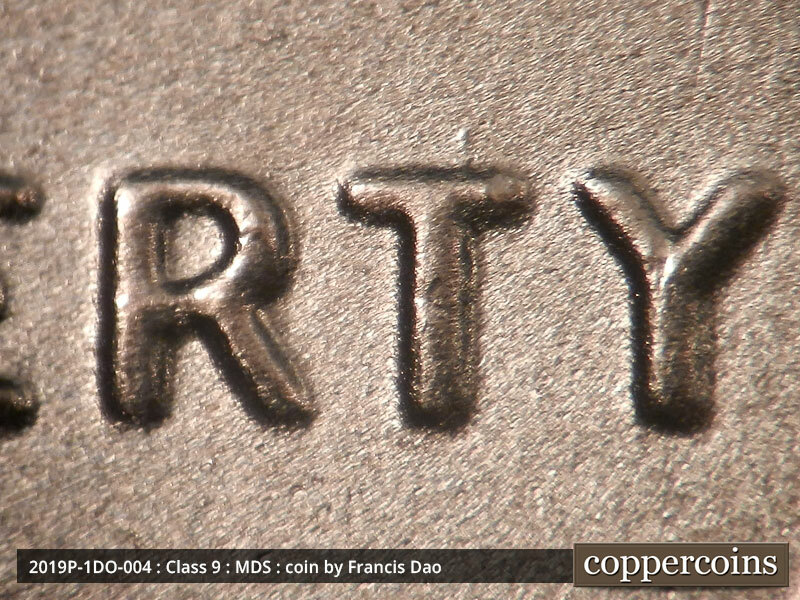 Copyright © 2001-2012 coppercoins.com, all rights reserved. Many images used on this site are copyright of Ira & Larry Goldberg Coins & Collectibles www.goldbergcoins.com. 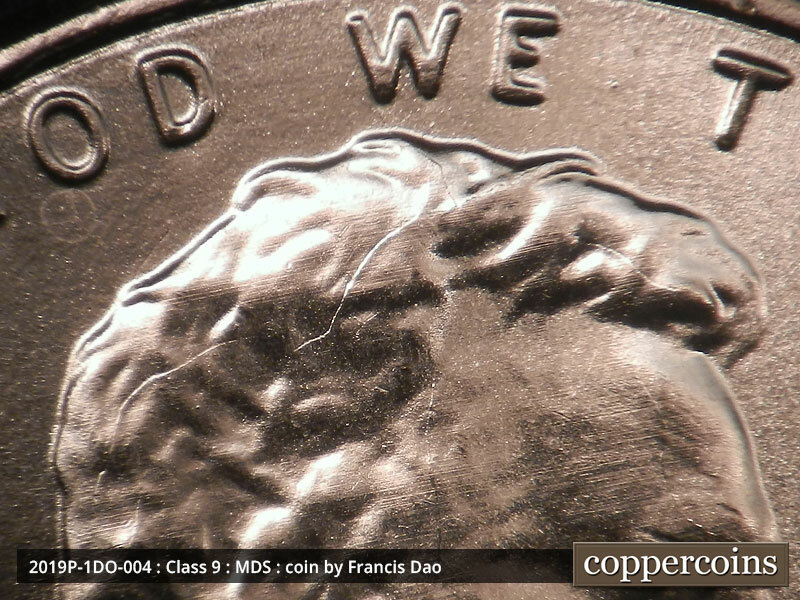 All design elements, images, and content are copyrighted material and may not be duplicated for any purpose without sole written consent of the owners of coppercoins.com. This site programmed in PHP using MySQL database resources. Please support open source programming. For quotes on website development and design, contact the web master. Netscape users will experience problems trying to view this site. For best results, switch to a different browser.